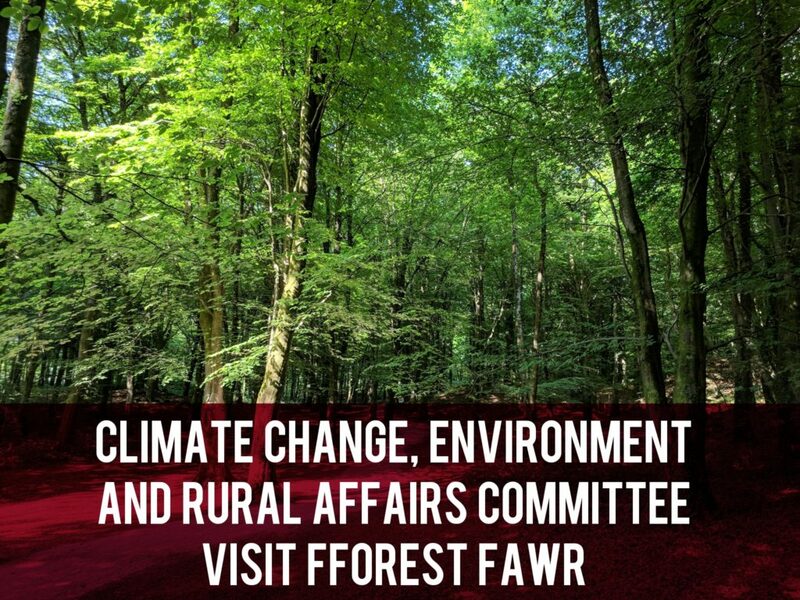 The National Assembly for Wales Climate Change, Environment and Rural Affairs Committee visited Fforest Fawr yesterday to learn about the larch disease work. Natural Resources Wales representatives, Clare Pillman (Chief Executive), Diane McCrea (Chair) and John Hogg (Head of South Central Wales Operations) showed members of the committee around the forest. Our Regional Assembly Members, David Melding (CON) and Gareth Bennett (UKIP) sit on the committee. We’ve collected Tweets from the organisations and links to our coverage of the work.